An international conference on the topic of “The role and independence of lawyers: comparative perspectives” organized by the Azerbaijani Bar Association, the Council of Europe and the International Commission of Jurists will be held on November 15-16. Report informs citing the Association that heads of the foreign ministries of 15 foreign countries, senior officials of international organizations, as well as heads of the supreme governing bodies of Azerbaijan will take part in the event. 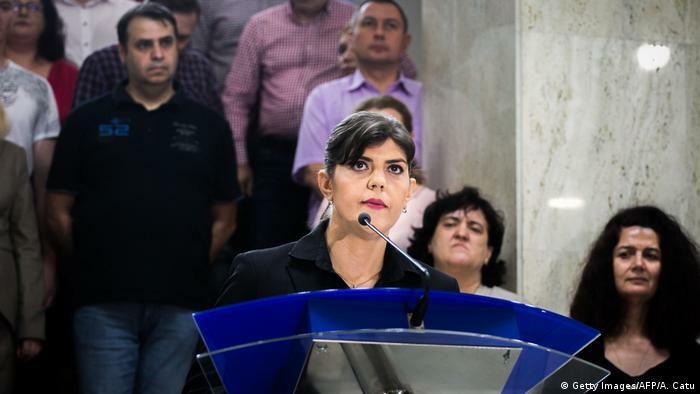 Romania’s plans for a judicial overhaul would be likely to undermine the independence of magistrates and sap public confidence in the judiciary, the Council of Europe’s advisory body on constitutional matters said on Friday. The advice from the body, known as the Venice Commission, could provide ammunition for centrist President Klaus Iohannis, who is trying to block legal changes that opponents say would make it easier for officials to engage in corruption. Iohannis has challenged the overhaul backed by the ruling Social Democrats at the Constitutional Court. He asked the Venice Commission to assess the bills, which parliament has approved but which he must sign for them to become law. The Council of Europe, made up of 47 member states, is a human rights body that shares a flag with the European Union but is separate from it. It set up the Venice Commission of experts after the fall of the Berlin wall to help advise European states emerging from communism on how to enact constitutional reforms. The EU’s executive commission and thousands of Romanian magistrates have criticised the Romanian overhaul, saying it would leave courts and prosecutors vulnerable to political interference in one of the European Union’s most corrupt states. The Council of Europe, the CCBE and the Chamber of Advocates of Armenia is organising the conference with the aim to provide a platform for sharing information and experience on the current challenges of the bars and law societies, explore detrimental issues in the bar associations and propose concrete steps for strengthening the cooperation and ties amongst the bar associations and law societies of the Council of Europe member states. The main objective of the Conference is to facilitate a dialogue and exchange of the best practice between the bars and law societies of different Council of Europe member states. The exchange that will take place between professionals from different countries shall create a solid platform for argumentation and it seeks to generate – and contribute to – a wider debate about the potential improvements in the bar associations and for the profession of an advocate. Even if the directions and the policies of the bar reforms may differ from country to country, discussion on the primary concepts and challenges unites different Council of Europe member states. The scope of the Conference: The one day-long discussion will include presentations by leading members of CCBE, experts and representatives of bars and law societies of different Council of Europe member states. Europe’s top human rights court will be flooded with claims from Turkey unless the country’s judiciary steps up to protect the rule of law, a top European diplomat warned on Friday. 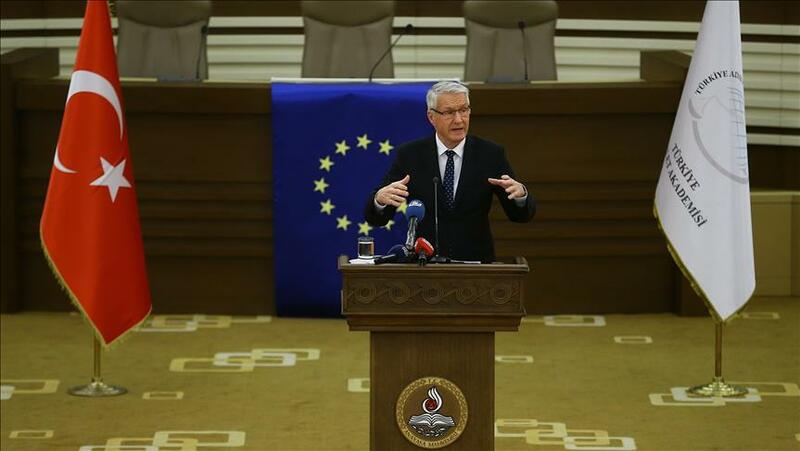 Thorbjørn Jagland, head of the Council of Europe, travelled to Ankara to urge judges and prosecutors to stand up for fundamental freedoms following President Recep Tayyip Erdogan’s sweeping crackdown on dissent. The warning from Europe’s human rights watchdog underlines the concern in western capitals over the rule of law in Turkey under the leadership of Mr Erdogan. Although the Council of Europe is separate from the EU, its work is followed closely by EU member states. Turkey is a member of the council and, in principle, must abide by decisions made by its most important body, the Strasbourg-based European Court of Human Rights. But the fallout from the attempted coup of July 2016 has threatened to put Turkey and the court on a collision course. Mr Jagland’s visit came just weeks after Turkey was plunged into a judicial crisis when an order by the country’s top court was overruled by a series of less senior judges. 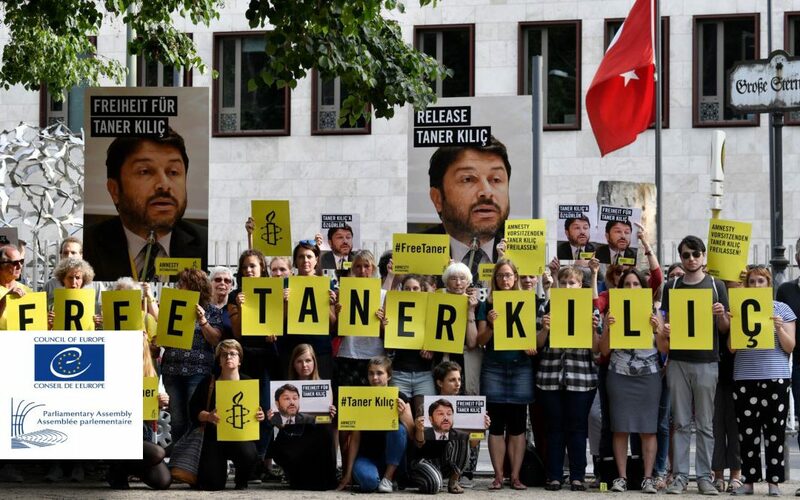 Parliamentary Assembly of the Council of Europe’s (PACE) has called for the release of Amnesty International’s (AI) Turkey chair Taner Kilic, under arrest for more than 7 months now. In a written statement issued a day before Kilic’s court appearance on Jan 31, PACE’s co-rapporteurs for the monitoring of Turkey, Marianne Mikko (Estonia, SOC) and Nigel Evans (United Kingdom, EC) reiterated their call for the right defender’s release. “Taner Kilic, like any other individual, should feel safe and secure to express himself and assemble in Turkey. We urge once again the Turkish authorities to ensure that these fundamental freedoms are duly and effectively secured, and put an end to the continuous arrests and detentions of those expressing dissenting and critical opinions, which cannot be a crime in itself”, they said. ”In this context , we are deeply concerned about today’s arrest of Turkish Medical Association board members, including its chair, as well as hundreds others for criticizing Turkish military intervention in Afrin. We call on the Turkish authorities to act and react in full respect of Council of Europe standards”, the co-rapporteurs also added. Kılıç, a lawyer, a founding member of AI Turkey and chairman of its board of directors since 2014, was arrested by an İzmir court on June 9 as part of an investigation into the Gülen group. Set to appear during a court appearance on Wednesday, he faces terror charges along with 10 other rights defenders who could be jailed up to 15 years if convicted. We are live from outside the Istanbul Penal Court – where our friends and colleagues İdil Eser, Taner Kiliç and 9 other human rights defenders have their third hearing in an ongoing criminal trial against them. We are also talking to prominent human rights defender and lawyer, Gunal Kursun who is also standing trial today. European convention outlining both the obligations and rights of lawyers could take a step closer today as a Council of Europe body prepares to vote on whether to draft an agreement. The Parliamentary Assembly of the Council of Europe (PACE), made up of members of parliament from the council’s 47 member states, are discussing a convention on the profession of lawyer at a meeting in Strasbourg. Legal professional bodies are backing the idea. The Council of Bars and Law Societies of Europe (CCBE) said the convention, if approved, should focus on legal professional privilege and the independence of legal professions and their representative bodies. It should emphasise the obligations on national authorities to respect and protect the free exercise of the profession and to promote the profession’s role in ensuring the effectiveness of the judicial system, protecting human rights and the rule of law. PACE rapporteur, Sabien Lahaye Battheu, said a string of attacks on lawyers has taken place in the past 12 months alone. They include police raids on the home of a Greek lawyer representing Syrian refugees a Georgian lawyer being assaulted by a chief of police after giving advice to his client. Last year, hundreds of lawyers were detained after the failed coup in Turkey. Chair of the barristers’ profession in England and Wales Andrew Walker QC said ’hard international law’ is needed to protect lawyers who are subject to threats and attacks from state agencies and individuals. 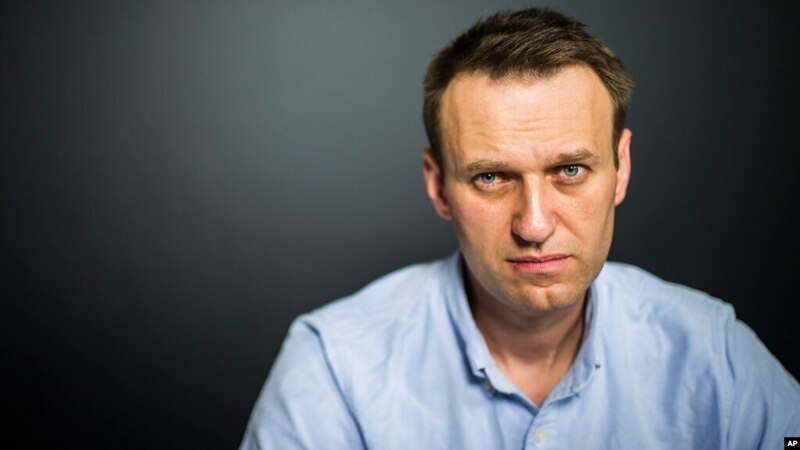 Le principal opposant au Kremlin, Alexeï Navalny, devrait être autorisé à se présenter à la présidentielle de mars prochain, ont plaidé les représentants des 47 gouvernements du Conseil de l’Europe dans une résolution publiée vendredi. Le Comité des ministres de l’organisation paneuropéenne, réuni cette semaine à Strasbourg, a “invité les autorités” russes à revenir sur “l’interdiction pour M. Navalny de se présenter à une élection”. Cette inéligibilité, proclamée en juin dernier par la commission électorale centrale russe, découle d’une condamnation à cinq ans de prison avec sursis infligée à l’opposant de 41 ans – pour avoir prétendument détourné, en 2009, quelque 400.000 euros au détriment d’une société publique d’exploitation forestière alors qu’il était consultant du gouverneur libéral de la région de Kirov. Or, en février 2016, la Cour européenne des droits de l’Homme (CEDH, le bras judiciaire du Conseil de l’Europe) avait jugé cette décision “arbitraire”, estimant qu’on pouvait “fortement craindre” que les poursuites contre M. Navalny et son co-accusé aient été “de nature politique”. La Cour suprême russe a ensuite annulé en novembre 2016 cette condamnation et renvoyé l’affaire devant un nouveau tribunal. Mais M. Navalny a de nouveau été condamné à la même peine, ce qui a entraîné son inéligibilité.